Signup for HP Helion Public Cloud and Get Free WordPress Setup From Our Side – Tweaked, Optimized For Faster Page Loading, 85+ PageSpeed Score. If you want to participate in our Private Beta Program, you need to contact us and check your website’s eligibility. If we approve your website, we will arrange for your HP Helion Public Cloud account – you’ll use your credit card and HP will manually verify your account as normal process. You’ll get $100 / month free usage quota for 03 months. HP Helion Public Cloud has infrastructure level support, you’ll get that support as usually. What you never get is – support for setup of web software. This Private Beta Program allowing you that service from our side free of Cost. For the process of getting as approved Partner of HP, we need to test few websites. As we can not have hundred of websites with variations, we are releasing this Service fully free of Cost. You can keep your existing setup as it is and add behind any Cloud DNS to have zero downtime. You are signing up for HP Helion Public Cloud normally, but before the process to take our Service, you are simply submitting your website for our consideration. We will inform HP Cloud’s team about your signup. You can actually discontinue our service after the setup is done. As the whole service is fully Free Software based and has no binding Agreement, you can simply notify us for the discontinuation. HP Helion Public Cloud account is yours. The Layer in-between is tweaked by us – in simple language. You need not to know what is Command Line, you need not to worry about downtime. We DO NOT Represent HP Helion Public Cloud. Like Nginx is a Third Party, we are another Third Party. HP is an old company, the server hardware are their own. We want clean WordPress websites with no previous DMCA filed against, no illegal content, nothing doubtful content which is not permitted under the particular sections of Google Webmaster tools. In other words, we want not to help to host and optimize a dubious, morally or legally wrong website. Upon receipt of request, for example example.com, we will run basic tests for reputation and content. If you get approved, you have to accept our non-binding agreement as our engineers will access your HP Helion Public Cloud account. Apart from this, Bare Metal Service is Also Supported. You must understand that, Bare Metal is a costly matter. Neither HP Helion nor we can offer 100% free trial for so highend test. HP Helion Public Cloud Third Party Service : Who Can Apply? All who has or simply want to have a website. Consider to upgrade your website to HTTPS or HSTS. HP Helion Public Cloud Third Party Service : How To Apply? You will never be asked for your domain registerer’s login credentials. You should only response to the emails from admin@thecustomizewindows.com. You only need to change the DNS towards HP Helion Public Cloud or if you want IP only instance, you need not to change the DNS at all. HP Helion Public Cloud Third Party Service : Will I Ever Get Charged? As Private Beta will retire to mature service, you will simply be excluded from the Free Service. We will not delete your settings or website. We will offer our Service Catalogue with Pricing. You might get charged for using HP Helion Public Cloud within the first 3 months if usage exceeds $100/month usage. We will try to keep it under $100. We are not responsible for any charge by HP Helion Public Cloud. We will offer you an optimized website with a specific well known Paid WordPress Theme Framework. Your CSS will be matched with your current design (if any). This change is needed for performance tweak. It is possibly a WordPress Theme Framework which you are using now. You need not to pay for this WordPress Theme Framework when you are using our Private Beta Service. You will need to agree with Third Party WordPress Theme Framework’s TOS. Simply, you can not distribute it as illegal download somewhere. All instances will be built from Ubuntu 14.04 LTS Partner Image. All Webserver instances will run Nginx F/OSS. All Application server instances will run MySQL or any NoSQL (all F/OSS). HP Helion Public Cloud Third Party Service : What is Warranted? 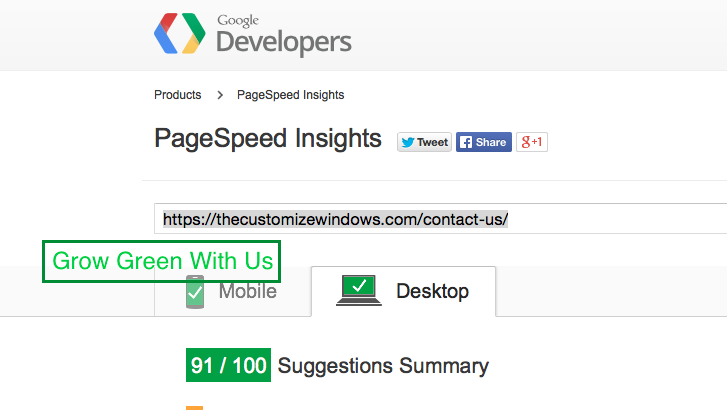 Good PageSpeed Score with Google PageSpeed Module. All Time measurements are based on webpagetest.org (US, Dallas). All Page Speed measurements are based on PageSpeed Insights (Public). We will not put any Ads, links on your website. It is a Private Beta test of a high end service. Response to any email is expected to be replied within a period of 72 hours. It is a Private Beta test for Free, there is no direct Ticket, Chat. We will force your website to load as Fast as Possible with Highest PageSpeed Insights score. HP Helion Public Cloud Third Party Service : What is NOT Warranted? We can not give warranty about your WordPress website’s security. If you use easy to guess password, anyone can hack. It is not possible to hack HP Helion Public Cloud instance if you co-operate with us. We can not offer you any compensation. All applications will not be accepted. We have a limit. HP Helion Public Cloud Third Party Service : What is Cost Out of Beta? Variable. From $50 – $2000 per month for the optimized management. HP Helion Public Cloud Third Party Service : If I steal your Settings and Open Service Like You? You will have full access to your Copyrighted materials (database, FTP server). You can not access the backend with root privilege. If you run apt-get update simultaneously with us, it is your website which will suffer. We will essentially block the way for security. It is about moral, we can not offer you a way to get others’ instance hacked by finding a flaw of our infrastructure management. You have full control on the infrastructure, you can block our access, you can take full backup via WordPress or ask us. If you steal Third Party paid products, you can expect legal action by the Third Party (-ies). Why Cost Out is So High? We have to pay our Employees. They are essentially software engineers. Why It Is Better Than The Others? Better or Worser, that you will speak about! Other “managed” either uses inferior quality servers as backend or charge like a bomb. Infrastructure is yours, WordPress is yours. You have full FTP access. You can control Nodes from DNS. Is it Better Than Rackspace DevOps or SysOps? We have no competition with anyone. You can definitely criticize, compare our service with any services of same quality only after testing. You can not compare with any WordPress Managed Hosting. We have more offers. Essentially it is for WordPress, but you can run GitLab or other web software at your need. The way of offer is same. Your team will get helped by us via GitHub (your’s paid private repo) at higher end. For Private Beta, GitHub support is not included as you have no commitment. What is Practically Deployed? Rather How You Can Provide Warranty for PageSpeed? Some part are fully Free Software but source not Public and Based on API. If you take a full server backup to exploit our free service, you can not get the same result at front end. What is Difference Between this Private Beta and Future Public Paid Service? Service Level Agreement. Additionally, you can not complain for a Free Beta Service. Only HP Helion Public Cloud? Not Any Other? It is for HP Helion Public Cloud only. 90 Days, matched with HP Helion Public Cloud till we retire Private Beta. After offering it via HP Cloud Marketplace, you’ll get other set of Service Level Agreement. After 90 days, if you do not response, only the optimization will be lifted off – you’ll become 100% HP Helion Public Cloud’s client. Your Website will not die. Most basically make the user’s experience bad with this point. How Much Time it Can Take From Request to Deployment? After sending an email to admin@thecustomizewindows.com with your details, you have to wait for 72 hours. We can not allocate more than 2 skilled employees. Will You Steal My Personal Data? No! We need no Credit Card information, where you live. We only want to make sure that “You Are You”. Which Websites Better To Submit? Low Traffic sites are better to keep it free for avoiding HP Cloud’s extra charge. Personal to business websites all are eligible. Who Will Manage and Will My Performance Data Will Be Used? Management is via technical team. No data will made public without your permission. Is There Any NSA Related Fear? Frankly, US can not force us to submit your details. Government of India will never ask for your personal details. All WordPress Plugins are blocked to send data externally. If NSA steals data like a thief by tapping on cables, what we can do. If any Government asks us for your details, we will ask you to contact them. Can I Blame HP Helion Public Cloud or Your Service? You should not blame HP Helion Public Cloud. Essentially, before offering a highly optimized service via other website, we need testing. It is named Private Beta as many features are lesser – no Chat, no Realtime Ticket support, no web GUI. As long you have your control on domain and have the backups, there is nothing to worry. I am using DigitalOcean or Rackspace or SoftLayer or Amazon, Can I Apply? Surely. It is better if you are using a better IaaS. You can control your node of HP Helion Public Cloud from your DNS service. Which Websites Are Fully Disallowed? We will help you to resolve content issue by talking with HP Helion Public Cloud. Unless you have paranormal content, on the basis of content, any problem is unlikely. Will I Get HP Helion Public Cloud IaaS at Lesser Cost Later (Out of Beta)? Yes. Service Level Agreement is different for the Paid Service. This Article Has Been Shared 8126 Times! Cloud Infrastructure Kickstarting guide is not designed as a simple how to install and how to use it, rather a try to explain the possibility of alternatives. Cite this article as: Abhishek Ghosh, "HP Helion Public Cloud : Signup and Get Free WordPress Setup," in The Customize Windows, December 15, 2014, April 21, 2019, https://thecustomizewindows.com/2014/12/hp-helion-public-cloud-signup-get-free-wordpress-setup/.